When I look at the changes made to Sister Parish's, it seems there is still an essence of her. Jennifer I haven't heard about the Buatta designed homo that changed hand, it would be interesting to see though! A footnote: Mrs Parish's apartment was not even on the market for sale when she received "an offer she couldn't refuse." 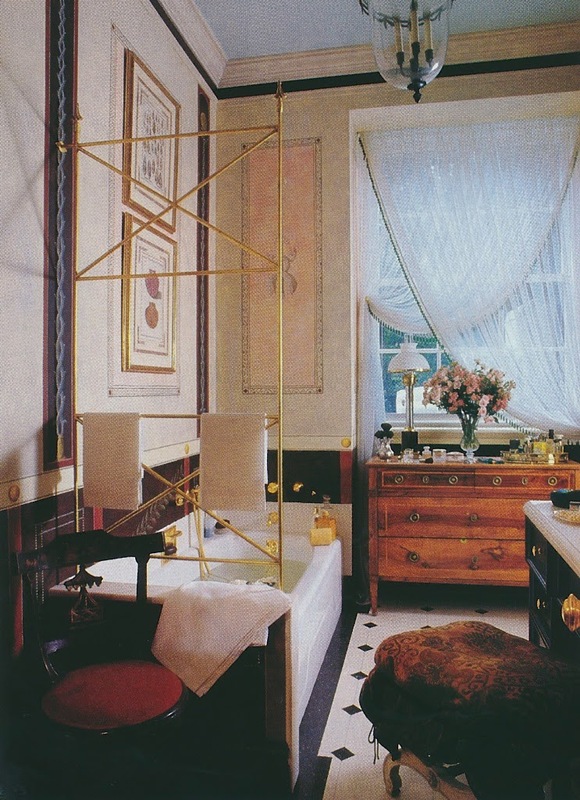 As she had been thinking it would be better to find another maisonette (because of her dog) with staff quarters within the apartment (because of her age), she made the move. Although her last apartment would have an arguably less-toney address, it was better. This apartment was featured on television. What struck me was the painted kitchen cabinets. I have been unable to locate any published photographs. If you come across any, would you please include them if you do a follow-up with Mr. Buatta's work. I have to say I'm not a fan of those bright yellow walls, with the bright yellow curtains. 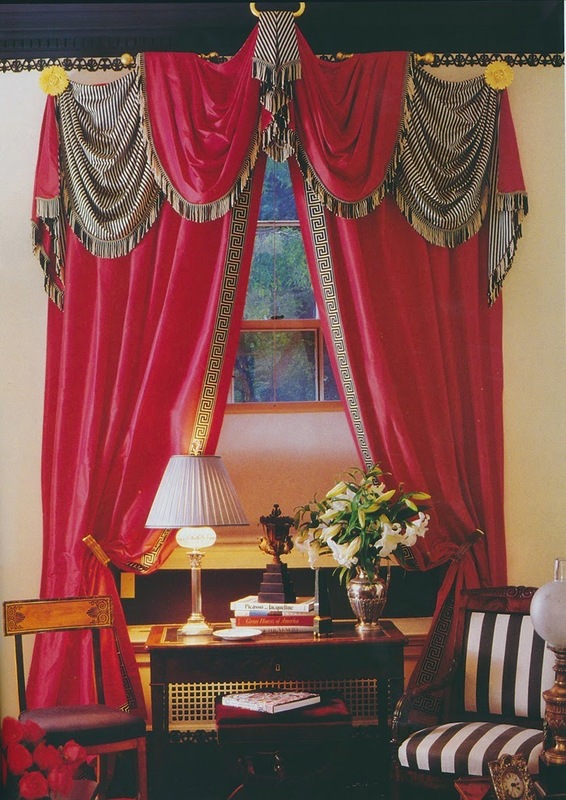 Yes, a Yankee version of the English country house look. Sister Parish sometimes got a bit carried away and didn't stop when she should have. Both versions just miss on the understated comfort level found in English homes, even those in stately houses and filled with museum-quality treasures. "a Yankee vision of a London house." 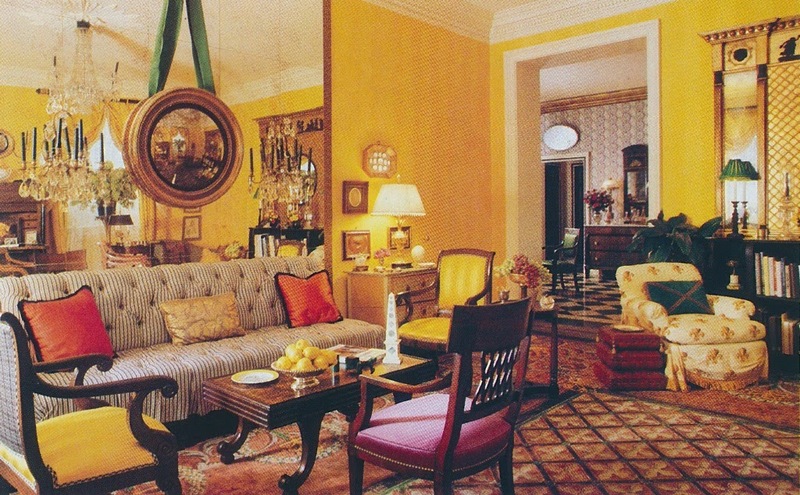 But wasn't Irvine's re-do an attempt to recreate Nancy Lancaster's buttah-yellow drawing room? Anyway, there was no love lost between those two. 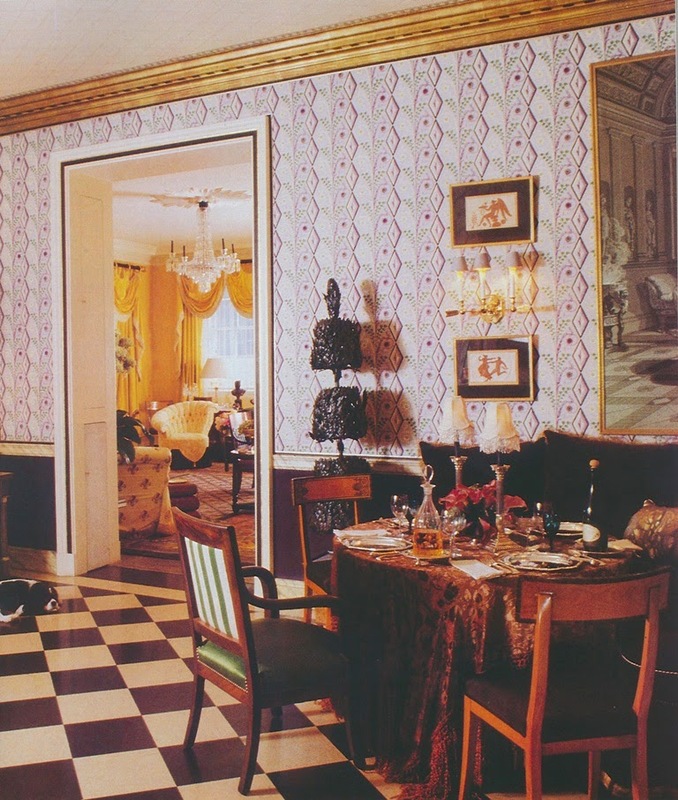 Honestly, all the versions of this apartment comes across as really overdone mock-ups of an English country house, inappropriate for a couple of New York rooms at sidewalk level. Let in some air! I always wondered what people strolling down 5th Avenue thought when they saw Mrs. Altschul sitting there in her bathtub! I always enjoy seeing how people decorate their homes because decorations reflect so much about a person's personality and taste. I wouldn't change anything about these decorations. 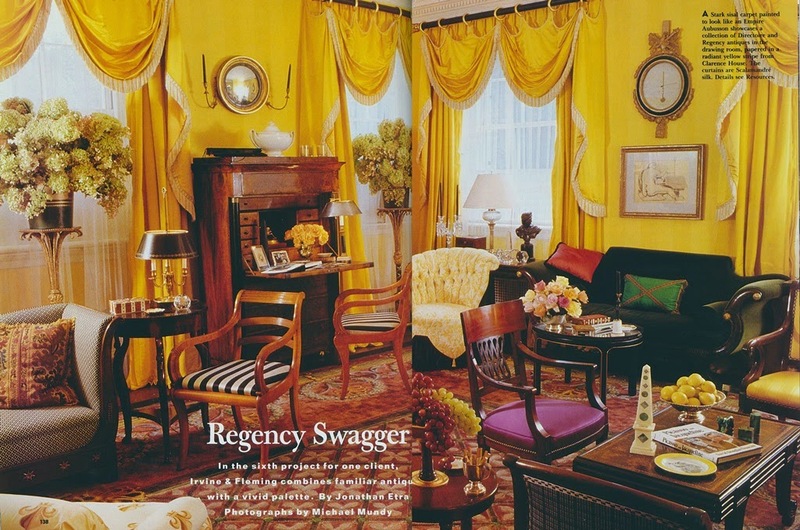 In my opinion, the living room is too colorful and I must admit I never saw a such bold yellow-colored walls before.